This brewery was known for its porter, which had grown out of the custom of Londoners drinking a mix of two or three weak and strong beers. In the 1720s one brewer had produced a blend of three beers that was dark brown, almost black, in colour. This strong beer was so popular with market porters that it in turn became known as “porter”. After brewing, porter was left to mature for a long time in huge wooden vats. These vats, made by the brewery coopers, were held together by heavy iron hoops fixed by rivets. When ready for sale in taverns, the porter was put into smaller wooden barrels. Brewers competed to build immense vats, and in 1795 one vat at the Meux family’s Griffin Brewery was said to hold 20,000 barrels of porter. 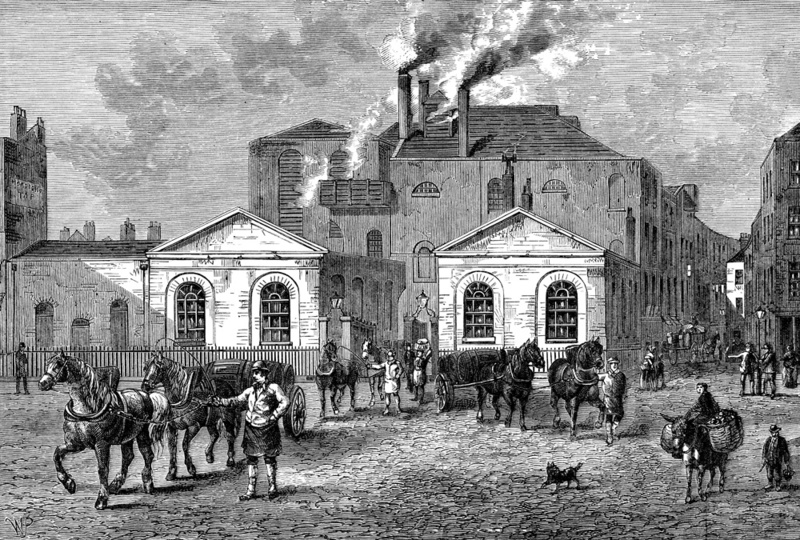 In 1814 Henry Meux was running the Horseshoe Brewery, where the main porter vat was more modest, holding some 3,500 barrels – just over one million pints. At 22 feet in height, it was like a 3-storey building, and stood only 8 inches from the outer brick wall of the brewery’s storehouse. In October of that year, the porter in this vat had been maturing for 10 months, but in the afternoon of Monday the 17th, the storehouse clerk, George Crick, noticed that one iron hoop had fallen off. It weighed about 7 hundredweight (356 kilograms), but he was not alarmed, as this tended to happen two or three times a year when rivets gave way. On this occasion, though, it led to a terrible catastrophe. By 6 o’clock that evening, it was dark and dismal in the capital. Suddenly a chain reaction occurred, because all the hoops on the vat failed, which burst open, damaging the adjacent vat of almost the same size. It also destroyed the outer storehouse wall and part of the roof. The disaster did not stop there, because buildings round the brewery were demolished or damaged, basements and lower rooms were flooded, carts and horses were washed away, and eight people died. Eleanor was only 14 years old. 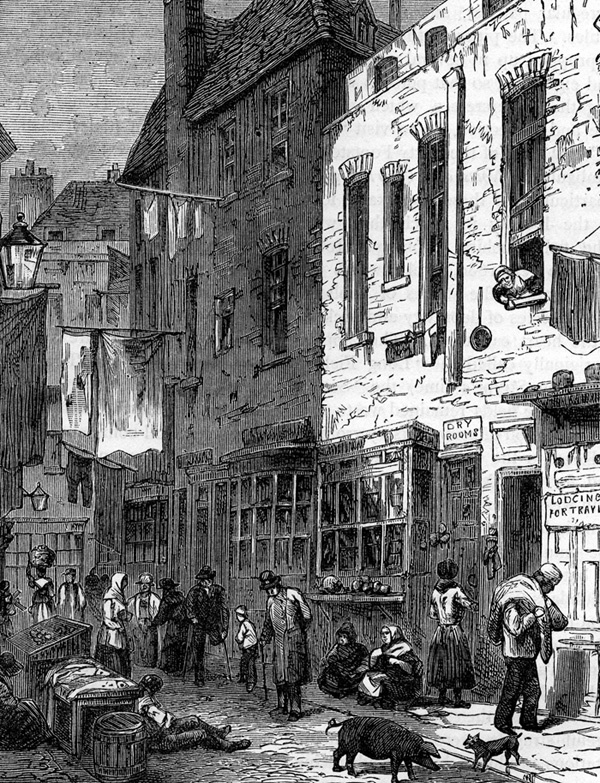 In New Street, two houses adjoining the brewery were demolished, and the Gentleman’s Magazine noted that in the first floor of one of them, “a mother and daughter were at tea. The mother was washed out of the window, and the daughter was swept away by the current through a partition, and dashed to pieces.” The girl was Hannah Bamfield (or Banfield), aged 4 years and 4 months. Mrs Smith was 27 years old and Sarah Bates 3 years and 5 months. Mrs Butler was described in different sources as 58, 63 or 65 years old, “a poor Irish woman”, and Mrs Mary Mulvey (or Mulsey), who seems to have been her daughter, as 30 or 32 years old. Thomas Murry was Mary’s son by a previous marriage, though in the burial records he is called John Murray, “age about 4”. Next, Hannah Banfield’s body was found in the New Street ruins. Her mother survived and was taken to the nearby Middlesex Hospital, along with several other severely bruised victims, including George Crick’s brother. The eighth victim was Ann Saville (or Anne Sivell), described variously as aged 30, 53 or 60. She also lived in New Street, but her body was discovered by Crick in the brewery wreckage and was carried to the Horseshoe pub. At the inquest, the jury returned a verdict of “Died by Casualty, Accidentally, and by Misfortune”. 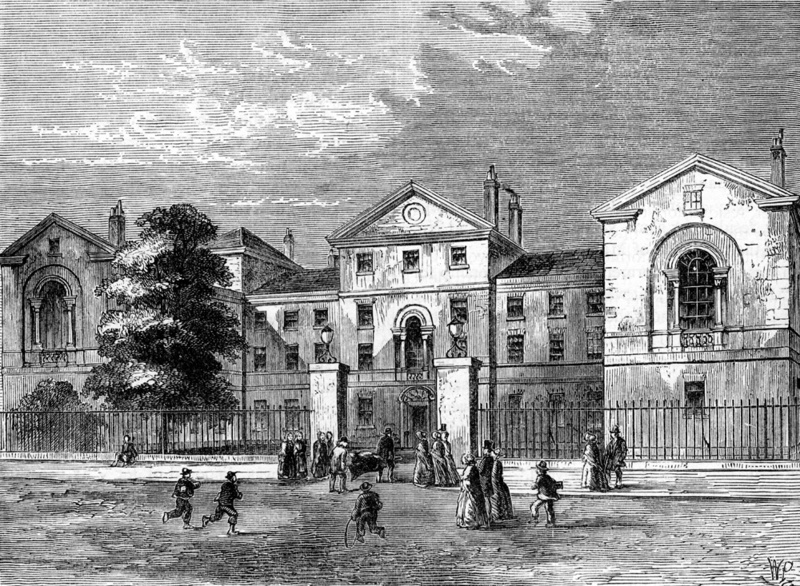 Several of the dead were buried in the churchyard of St Giles. A public subscription was set up for the victims and their families, and after a month the donations totalled almost £1,000. The accident put a curb on the building of huge vats, and breweries were jolted into inspecting and replacing their equipment, for fear of similar disasters. Over the years, the idea of a beer flood has captured people’s imagination, with stories being embellished. One victim supposedly died of alcohol poisoning after trying to drink as much as possible, but there is no evidence that this happened (though it sounds plausible). Later stories about people rushing out with containers to salvage the beer, or to drink what they could, have an element of truth. 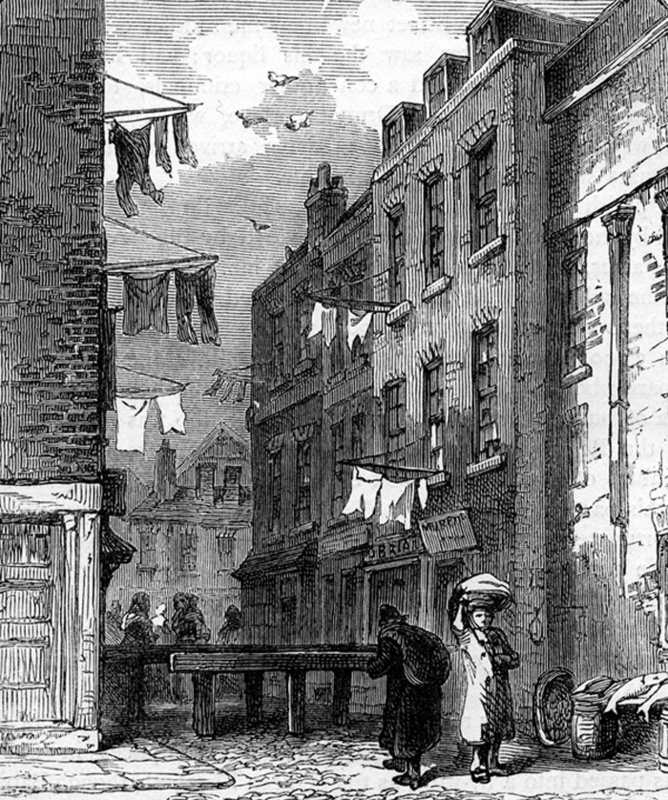 The affected area was close to the British Museum, so if you are trying to look for the location, then bear in mind that decades later, the street layout near the brewery was altered, first with the construction of New Oxford Street in 1847, and then Charing Cross Road and Shaftesbury Avenue, sweeping away much of the slums. The churchyard of St Giles has also been cleared of most of its tombstones. The brewery was demolished in 1922, and the Dominion Theatre built on part of the site fronting Tottenham Court Road. The rest of the brewery is now taken up by a hotel and the TUC Congress Centre. Next door to the theatre was the rebuilt Horseshoe Hotel and Restaurant, but this was demolished in 2007 for an office block. An earlier version of this article was first published as: Roy & Lesley Adkins “Awash with ale” Family History Monthly 193 (March 2011), pp.46–7.